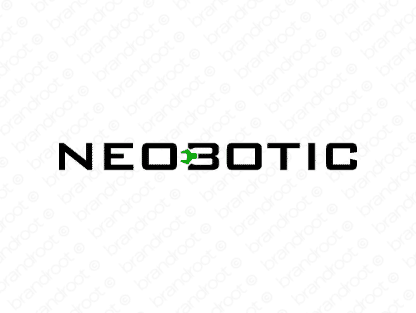 Brand neobotic is for sale on Brandroot.com! This forward thinking invention pairs the prefix "neo-" with "robotics" for a futuristic technology centered brand. Neobotic is a smart fit for industrial automation and manufacturing services or advanced robotics startups. You will have full ownership and rights to Neobotic.com. One of our professional Brandroot representatives will contact you and walk you through the entire transfer process.